Major Matt Mason: Air - 2015 (Stage Management), Control (Stage Management, Design Assistant), girls!girls!girls! (Stage Management) Elsewhere: Brooklyne is a multidisciplinary Calgary born artist, currently with a focus in stage management and technical theatre. She is expanding her theatrical knowledge in the production program at the National Theatre School of Canada, where she has worked on several productions. After graduating this upcoming May, Brooklyne plans on returning to her home town of Calgary, to continue creating, collaborating, and facilitating theatre, improv, and other arts through out the city. Major Matt Mason: Wildfire (Juror), girls!girls!girls! (Actor - Missy), The Tightest Lot In Calgary (Collaborator), Dreams (Collaborator) Elsewhere: Erica Anderson is an Ottawa born actress and classically trained singer. She is a graduate of The National Theatre School of Canada’s acting program and winner of the Tullio Cedrashi award for ‘The student who best exemplifies the mission of NTS’. Erica has worked in film, TV and theatre across Canada. She began working with MMM for the production of girls!girls! irls! as Missy. Other selected theatre credits include: The False Neighbour (North of Maine Productions), The Nobleman’s Wedding (Stephenville Theatre Festival), The Birthday Party (STF), Lion in The Streets (NTS), The Changeling (NTS), Prey (NTS) Film/TV credits include: MAZ, 11/22/63, Amber Alert, & Helix. Major Matt Mason: Air - 2015 (Director), Little Red (Co-collaborator, Performer), Control (Director), girls!girls!girls! (Director), Air - 2012 (Actor - Malcolm), This is Our Youth (Director), Destroy (Actor - Tom) Elsewhere: Mathieu is a wandering theatre and film actor and director who’s been involved with the collective for a number of years. A graduate of Mount Royal College’s Theatre Arts Program, he has also trained at Company of Rogues Actors’ Studio. Recent credits outside MMMC include: Shear Madness (Vertigo Theatre), Becky’s New Car (Alberta Theatre Projects), Michel & Ti-Jean (Sage Theatre), The Stones (Vertigo Theatre’s Y-Stage), Coast (Theatre Transit), Den of Thieves (Rogues Theatre), Potentilla (Downstage’s Uprising Festival), Ways and Means (Lunchbox Theatre), Bone Cage (Downstage). In 2014 he was awarded the Betty Mitchell Award for Best Actor in a Supporting Role for his work in Sage Theatre’s Michel & Ti-Jean. Major Matt Mason: Destroy (Writer, Director), This is Our Youth (Actor - Warren), Some Strange Arrangement (Collaborator), Air - 2012 (Writer, Director), girls!girls!girls! (Director), Dreams (Collaborator), Control (Writer), Little Red (Scripter, Lighting Operator), The Tightest Lot In Calgary (Collaborator, Actor), Wildfire (Competition Director), Air - 2015 (Writer, Actor - Malcolm). Elsewhere: Geoffrey is a Calgary born playwright, actor, director, and producer. He has written a dozen plays and has been produced in Calgary, Edmonton, Winnipeg, Toronto, and Montreal. His play The Circle has been performed at Alberta Theatre Projects, Tarragon Theatre, and the National Theatre School of Canada. As an actor he has worked primarily in Alberta including credits with ATP, Vertigo Theatre, Theatre Calgary, Swallow-a-Bicycle, The Shakespeare Company, Lunchbox Theatre, Handsome Alice, and Northern Light Theatre. He is the winner oftwo Betty Mitchell Awards, Theatre Calgary's Stephen Hair Emerging Actor Award, the Playwrights Guild of Canada’s post-secondary playwriting competition, and Tarragon's RBC Emerging Playwright Award. Geoffrey is also a songwriter and creates music under the moniker Lichard Worm. Major Matt Mason: Air - 2015 (Actor - Doug), The Tightest Lot In Calgary (Collaborator, Actor) Control (Sound Design), girls! girls! girls! (Sound Design), Air - 2012 (Actor - Doug), This is Our Youth (Director), Destroy (Actor - The Technician) Elsewhere: Tom Cainer is a theatre creator from Calgary, Alberta. He is known as an actor, writer, director, and sound designer. Tom is a graduate of the Mount Royal College Theatre Arts Performance program. Aside from being a collective member of Major Matt Mason, Tom is the artistic director of Theatre Virus, which focuses on challenging the corporate coup d'etat. Tom is very thankful to be part of the Major Matt Mason Collective and is excited to create theatre with such skilled professionals. He also DJ's under the name DJ Bad Kitty. Major Matt Mason: Control (Admin), Halloween Hangover Fundraiser (Co-Host and Co-Coordinator), Christmas Fundraiser 2014 (Co-Coordinator), Never Never Fest Fundraiser (Curator, Co-Host and Co-Coordinator), Little Red (Co-Creator, Performer), Raucous Caucus 2015 (Co-curator, Workshop Instructor), Spring Shakedown Fundraiser (Co-Coordinator & Curator), Wildfire 2015 (Admin, Performer), Air - 2015 (Admin). Elsewhere: Mikaela is a multidisciplinary artist and a graduate of Mount Royal University’s Theatre Performance program. She is an actor on stage and screen, a burlesque artist, costume designer, writer, visual artist and budding musician. Mikaela has acted in multiple film projects including lead roles in both One Hit Die: Legend of the Lich Lord and in The Valley Below (North Country Cinema), which premiered at the Toronto International Film Festival in Fall 2014 and was nominated for 2 Canadian Screen Awards and 5 AMPIA Rosie’s, including a nomination for Mikaela for Best Alberta Actress. Mikaela performs as a Burlesque artist under the pseudonym Lily Bo Pique, part of the Garter Girls troupe. Major Matt Mason: Raucous Caucus 2015 (Co-curator, Workshop Instructor), The Tightest Lot In Calgary (Co-creator), Little Red (Collaborator), Control (Actor - Ashley), Wildfire 2015 (Juror, Producer, Actor) Elsewhere: Zoe is an Alberta-based actor and dancer. She studied dance at the Edmonton School of Ballet before doing her BFA in acting at the University of Alberta. Select acting credits include Bloody Poetry, Love’s Labour’s Lost, Blood Wedding, Tribes (Studio Theatre), Gabriel, Salome (Bleviss Laboratory). She has performed in the Expanse Festival, NextFest, and the Street Performer’s Festival. Zoe teaches dance at La Girandole in Edmonton and will be choreographing Oedipus for the Bleviss Laboratory in the fall. Zoe co-created a children’s show called For When She Wakes which will run as a part of the Skirstafire Festival in March of 2016. Major Matt Mason: Raucous Caucus 2015 (Facilitator), The Tightest Lot In Calgary (Co-creator, Actor), Little Red (Collaborator, Performer, Media Editor), girls!girls!girls! (Actor - Jam), Air - 2012 (Director), Dreams (Collaborator), Fundraiser/Events Organizer Elsewhere: Alexis met her fellow Majors while getting her Theatre Performance Diploma at Mount Royal University, Class of 2010. Since then, she completed the Master Class at Company of Rogues Actors Studio. She has acted with Evergreen Theatre, Alberta Playwrights Network, New West Theatre, Urban Curvz, Aspen Crossing Dinner Theatre, and One Yellow Rabbit. She had her playwriting debut at the IGNITE! Festival for Emerging Artists with her play, 5x11, for which she also played the main character. She has also facilitated drama for mixed ability adults with Inside Out Theatre. 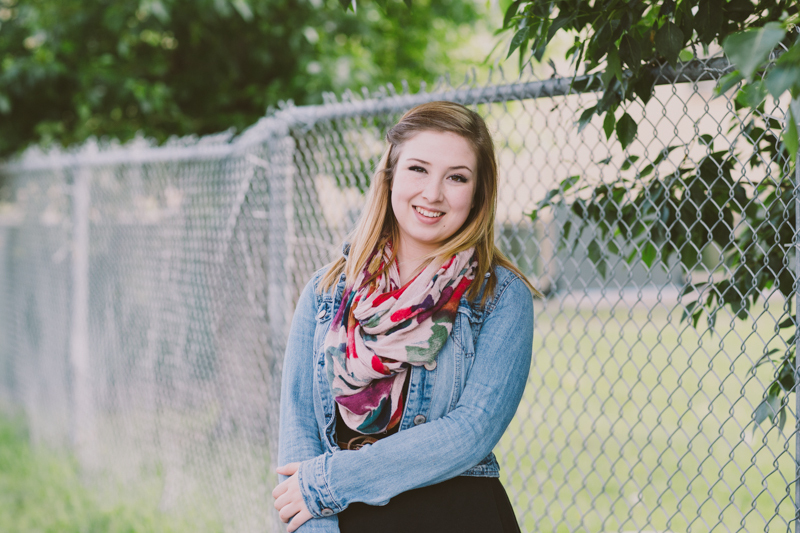 Alexis is currently studying at Mount Royal University to get her degree in Child and Youth Care Counselling. She hopes to become a drama therapist and to one day create a drama therapy program for at-risk-youth. Major Matt Mason: Destroy (Director), This is Our Youth (Director), Air - 2012 (Actor - Kyle), girls!girls!girls! (Actor - Little Bucky), Control (Director), Little Red (Creator/Performer), Wildfire - 2015 (Jury Member/Actor), Air - 2015 (Actor - Kyle), Raucous Caucus -2015 (Co-curator, Workshop Leader) Elsewhere: Evan is a multidisciplinary theatre artist based in Calgary. He received a diploma in Theatre Arts at Mount Royal University and continued his training at The Company of Rogues Actor's Studio where he studied the Meisner Technique and Acting for Film/Television. He has been with Major Matt since the very beginning, where he has worked as an actor, creator, producer and director. He has been working as a freelance artist in Calgary's theatre community for the past five years. Evan has been further stretching his legs as a director having assistant directed with companies such as: Sage Theatre, Ghost River Theatre, Vertigo Theatre, Theatre Transit, and The Shakespeare Company. Some favourite acting credits include: The Stones (Vertigo Theatre's Y-Stage Series), Radioheaded 2 (One Yellow Rabbit), Macbeth and Richard III (The Shakespeare Company), Castle In The Sky (IGNITE! Festival 2010), and Gretchen's Nightmare (8Rojo). Evan is working closely with Ghost River Theatre on their sound exploration Tomorrow's Child, premiering it at the West Village Theatre, producing it at the 2014 Beakerhead Festival and now looking forward to a slot in the upcoming 2016 High Performance Rodeo. Evan is passionate about devised theatre having just completed Ghost River Theatre's 2015 Devised Production Intensive where he also worked as registrar. Major Matt Mason: Air - 2015 (Actor), Wildfire 2015 (Director, Actor, Media Editor), Raucous Caucus 2015 (Co-curator, Actor), The Tightest Lot In Calgary (Co-creator), Little Red (Collaborator, Performer, Media Editor), Control (Director), girls!girls!girls! (Director), Air - 2012 (Actor) Elsewhere: Joe Perry is an actor, deviser, and director based out of Calgary, Alberta. He received a diploma from the Mount Royal University's performing arts program in 2010 and a BFA in Acting from the University of Alberta in 2015. He has worked as an actor with a range of independent and regional theatre companies in Alberta including Theatre Calgary, Alberta Theatre Projects, Lunchbox Theatre, The Citadel, Major Matt Mason Collective, Duckrabbit Theatre, Theatre Transit, and The Shakespeare Company. Joe was nominated for a Betty Mitchell theatre award for outstanding performance by an actor in a supporting role in 2012 for his work in SIA with Downstage Theatre. He has developed new Canadian scripts with Major Matt Mason, Theatre Calgary, Lunchbox Theatre, The Citadel, and APN. Joe has worked on a number of independent short films and feature films with North Country Cinema, Awkward Silencio Films, Polyscope productions, Déjà vu Productions, and Umbrella Collective Films. Major Matt Mason: The Tightest Lot In Calgary (Co-creator, Sound Design), Little Red (Collaborator, Sound Design & Live Music) Elsewhere: Patrick Seager is a musician and sound designer from Calgary. He created sound design work on the recent Major Matt Mason production Little Red, and their High Performance Rodeo 10 Minute Play Festival performance. He also writes, records and performs his own music, and performed it at Sled Island Festival in 2015. He has also performed with a number of Calgary bands over the years on a variety of instruments, most recently performing with Calgary band SET.